Alumna Katy Sullivan will be the Commencement Speaker for Webster University’s 2019 Commencement on Saturday, May 11, 2019, at The Muny in Forest Park and will receive an honorary Doctorate of Humane Letters. Sullivan earned her BFA in Acting in Webster’s Conservatory of Theatre Arts in 2002, graduating with department honors. 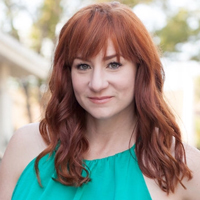 She is an award-winning television and stage actress, producer, and writer, as well as a four-time U.S. champion Paralympic runner in the 100 meters. Sullivan was born a bilateral, transfemoral amputee – missing both legs through her femur bones. At the London 2012 Paralympic Games, she set a new American record of 17.33 seconds in the 100 meters, finishing 6th in the world. As a creative artist, Sullivan co-created SulliFlinn Productions with fellow Webster alumna Becca Flinn-White. The two produce online comedy content, short films and are developing a comedy, LEGS, based on their life experiences. Sullivan was among the 2015 Fellows in the Producer’s Guild of America’s Power of Diversity program. She received the Young Alumni Award from Webster in 2011. Most recently she starred in and received awards for her performance as Ani in the 2018 Pulitzer Prize-winning play, COST OF LIVING, at Manhattan Theatre Club. Learn more about her at katysullivan.net. Col. Sidney (Sid) Gutierrez (U.S. Air Force, ret.) will receive the honorary Doctor of Science. He is a highly decorated former NASA astronaut who earned the MA in Management from Webster in 1977 at its Texas campus locations. He received Webster’s Distinguished Alumni award in 2011. In addition to his career as a fighter pilot, test pilot, and Shuttle Commander, Gutierrez served leadership and management roles with Sandia National Laboratories, on public task forces at the state and national levels, on non-profit and for-profit boards including New Mexico Institute of Mining and Technology, Goodwill, Roadrunner Foodbank, Texas-New Mexico Power and PNM Resources. 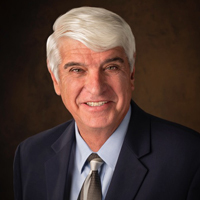 He served as president and CEO of Rocket Crafters, Inc. and is currently chairman of its board. Brenda Newberry will receive the honorary Doctorate of Business Administration. She is an author, public speaker and writer on diverse business, board, leadership and life management topics. She is the retired CEO, chairman and founder of The Newberry Group, a technology infrastructure, networking and cyber security firm, and is a former vice president with MasterCard International. She serves on the board for Spire (previously known as the Laclede Group) and served on the Enterprise Financial Services Board from 2007-14. Newberry, who completed her Master of Arts in Business Management from Webster at the main campus in 1979 after starting the program at Webster's Scott Air Force Base (Illinois) location, is Chairman Emeritus of Webster’s Board of Trustees and was the 2007 Outstanding Alumni Award winner for the George Herbert Walker School of Business & Technology. 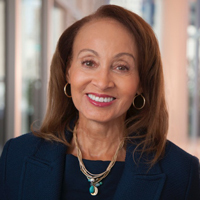 She was the first female chair of Webster’s board of trustees since Webster moved to a lay board, and also the first African American and first female veteran to chair the board. Elizabeth Robb will receive the honorary Doctorate of Laws. She is the retired CEO of Robb Partners REALTORS. Robb earned her Bachelor of Arts degree from Webster in 1965 and has served Webster in a variety of leadership roles. A former Webster trustee, she was also chair of the planning committee for Webster’s Centennial in 2015 and is currently chair of its 100th Commencement planning committee. Her history of civic leadership continues. 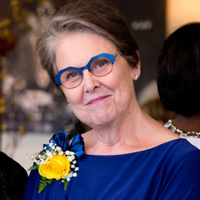 She is currently a trustee of the Missouri Historical Society, a former trustee of Cathedral Concerts, and a former member of the Board of the Bach Society of St. Louis. She served as a member of the Board of Citizens for Mass Transit (CMT). She previously served on the City of Clayton Board of Alderman for 16 years, on the board of the Clayton Child Center, and the board of the Clayton Chamber of Commerce. Robb’s leadership also included roles as president of the St. Louis Women’s Council of REALTORS and chair of the St. Louis Association of REALTORS’ Professional Standards, Ethics and Grievance Committees. “Webster’s 100th annual Commencement is a fitting occasion to honor these four individuals, who have contributed so much to their communities and who serve as outstanding examples of what today’s Webster graduates can achieve,” said Julian Schuster, Webster’s provost, senior vice president and chief operating officer. 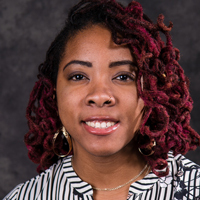 Fayeshun D. Brown, who is graduating with a bachelor’s degree in biological sciences, has been selected as the student speaker to deliver the "Words of Inspiration" near the beginning of the Commencement program. Brown is vice president of Webster’s Student Government Association and volunteers for the nonprofit World Pediatric Project and at the Cornerstone Educational Center. This May she will be among Webster’s first graduates in the WATTS (Webster Academically Talented Transfer Scholars) program, a National Science Foundation-funded scholarship for community college transfer students pursuing degrees in STEM-related fields.